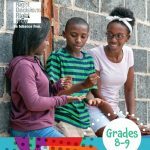 In this activity, students will apply what they have learned about themselves and the decision-making process to evaluate a series of situations they may experience. 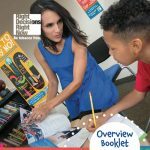 (See the Overview Booklet for additional information about decision making that you can share with your students). Situation: Why do you need to make a decision? Goals: What do you want to happen? Choices: What are your options or alternatives? Decisions: What will you do? Think about it: Did you make the right decision? Your parents have gone out, and you have been put in charge of watching your little brother for the night. Your friends call you and want to come over to hang out with you. You aren’t supposed to have anyone over when your parents are not there. But your friends are being pushy, and you really want to hang out with them. What do you do? What’s the goal? Or what do you want to happen? What choices or alternatives do you have? What are the possible consequences for each option? Next, share the digital activity link and have students complete the activity independently or in groups. Regroup to review the answer as a class. Ask students to volunteer their lists of options, consequences, and decisions for each hypothetical situation. To wrap up, encourage students to talk about how helpful it is to break down the decision-making steps. Ask them how some of these decisions (or other decisions they’ve made in their own lives) might have been made differently if they had thought them through.